A completely mobile spindle repair system. We come to you! We repair axle spindles, broken or worn out, making them new again! 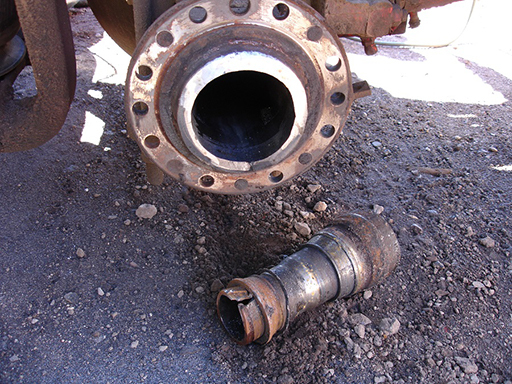 Did your wheels and hub decide to leave your truck or trailer without any warning damaging your spindle? No problem, we can repair your axle spindle. 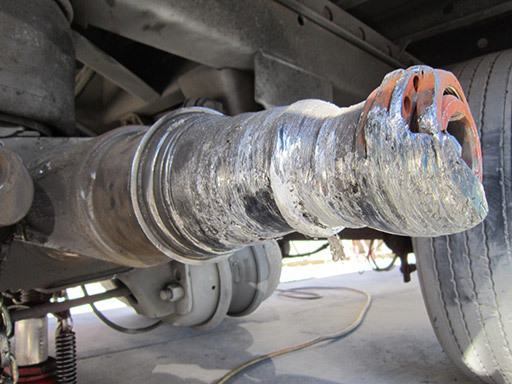 CT Axle & Spindle Repair delivers expert services to get your truck up and running fast! Our mobile axle spindle repair system services 3/4 ton pickups all the way up to class 8 trucks & trailers. 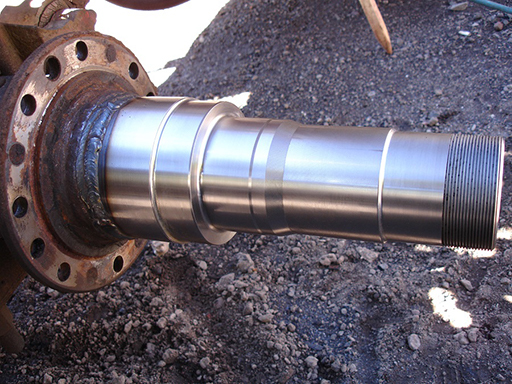 Spindle repairs can also be performed on other heavy equipment including skid-steers, paving machines and loaders. We also repair trailer spindles, axles and hubs. Our spindle repair system is just what you need to get you up and going in the least amount of time and at a fair price. Your old spindle is cut off. Each new spindle has an extension that is inserted into your housing to give it stability. The housing is preheated prior to assembly. This ensures a tight fit. The spindle is checked for straightness and the seam is welded. The brakes and hub can reinstalled once the assembly is cool. Maybe you don’t have a completely busted spindle, but during routine maintenance a worn bearing journal or damaged thread was found. We can weld up the worn journal and thread area and machine down to factory spec. We can then re cut new threads, basically giving you a new spindle end. This process can also be done ¾ ton trucks all the way up to class 8 trucks as well as equipment. We can also do just a rethread of just the end of the spindle. Spindles up to 4 ¾” OD can be serviced. What we don’t do is remove or replace your wheels, hubs and brakes. That is the responsibility of the customer or the shop where the vehicle is at.